Whether you operate a small yoga studio or a large fitness center, space equals money. 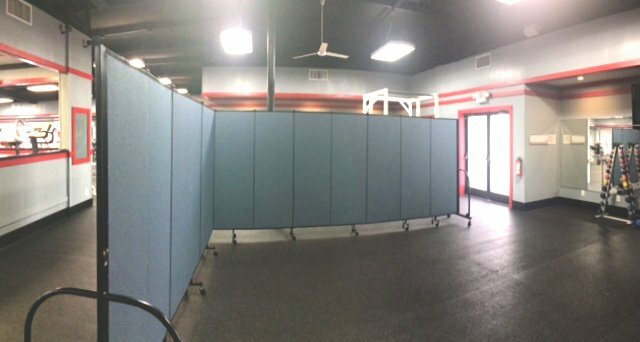 That is why fitness facility owners spend countless hours reviewing layout plans to determine the proper balance of space to offer training and classes that satisfy clients’ needs while generating as much income as possible. Having a clear understanding of space utilization is an important component of the ultimate success of your fitness business. The most important business decision you can make is to have a firm idea of what you must have and what you’d like to have. Go back to your business plan and goals for your center. Take time to assess if you are meeting or exceeding your goals, or where you are falling short. It is also a good time to determine if your current services are meeting the needs of the community, your clients, and their evolving needs at every fitness level. Next, do a space utilization assessment. This methodology has been used in urban planning and schools for years. By applying the same system of improving the allocation and use of space used in those facilities, you will recognize which space is being underutilized, what areas need to increase in size and find newly discovered space. Let’s check out how a space utilization assessment can improve your bottom line. After personnel expenses, facility cost is the next highest expense of running a business. That is why is it crucial to assess how your space is used. If your facility is being underutilized, you might be paying for a larger space than what you actually need. If the area is too small, you can reconfigure equipment or search for a new space that meets your needs. With your new data in hand, your search for new space will be very specific and generate a positive and cost-effective space. Free weights areas often lack visual separation between free-weight area and the other fitness equipment. Create a separation with a movable wall that accommodates constant changes in clients’ needs. All businesses deal with a certain amount of change. However, no other industry experiences or adapts to changes as quickly as the fitness industry. A change could be moving equipment, offices, or exercise rooms. Often some spaces are neglected or even eliminated. If changes are often required in your industry consider creating flexible space rooms that can be altered in size and configuration with the simple roll of a room divider. Not sure you have the space? Here is another excellent reason to invest in a portable partition. 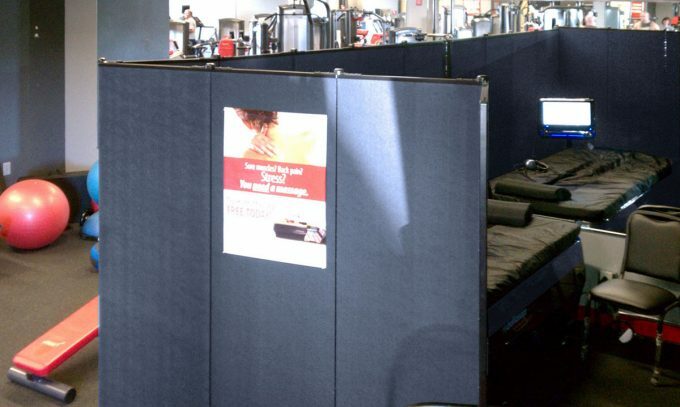 They are a simple and cost-effective solution to creating flexible space. Read this article on the benefits of room dividers, click here. Finally, it is essential to give your facility the space it needs to grow. A space management assessment can help you plan ahead for future space usage. Being on top of the trends and knowing your available space lets you plan for future space needs and iron out all the details before they need to be implemented. These are just a few of the many benefits of conducting a space utilization assessment for your fitness space. Understanding how your space is used can mean a significant time and cost savings with a big boost to your client’s satisfaction.